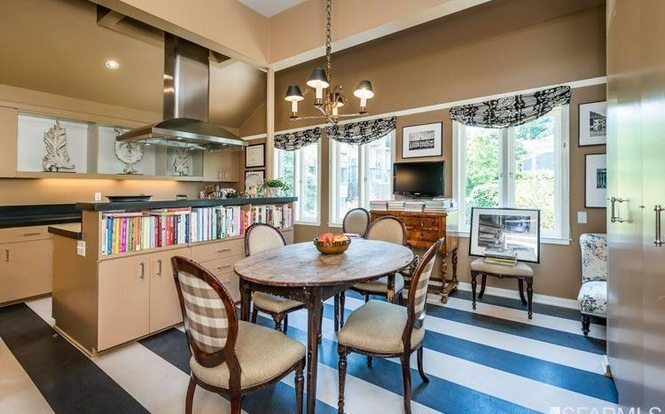 The 1709 Broderick Street home is listed for $4.15 million. The Charles Hinkel-built home was constructed in 1883. The property offers three bedrooms, three-and-a-half bathrooms, eat-in kitchen, backyard garden and spare office. Well, San Francisco’s insane world of technology upstarts happened, thus increasing demand on housing in the Bay Area. 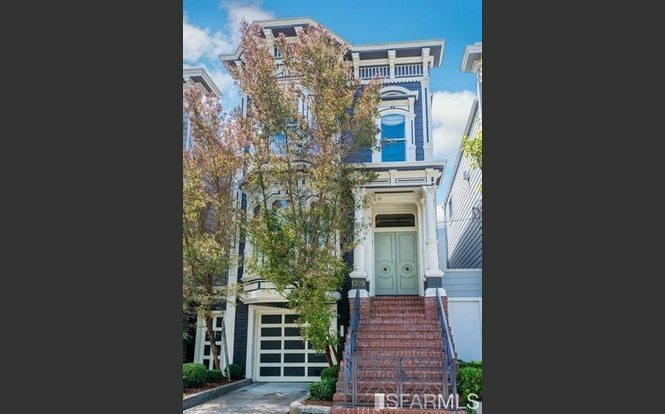 The “Full House” house, the actual one at 1709 Broderick Street in Northwest San Francisco, is currently listed for $4.15 million. The front of 1709 Broderick Street. Based on estimates, the Tanners would have purchased this home for right around $700,000 when the show started. Television news anchors in San Francisco earned anywhere between $200,000 and $800,000 in the ’80s and ’90s, so the Tanner family would’ve been quite comfortable in this spacious row home. The eat-in kitchen with views of the backyard gardens. Described as a classic Victorian, the 3,125 square-foot home became available on May 24. The actual listing brags three bedrooms and three-and-a-half bathrooms. There is also an office that is not included as a bedroom. The kitchen has an eat-in island and allows for picturesque, Instagram-ready photos of the backyard gardens. The home is located about one mile from Alamo Square. A common mistake is that the “Full House” home was one of the Painted Ladies, a series of row homes along Steiner Street that line Alamo Square (pictured at top of page), but that is simply not true. On the TV show “Full House,” there are a lot of other capital improvements made to accommodate the characters on the show. For instance, the basement offers a music studio for Jesse Katsopolis’ (played by John Stamos) band, Jesse and the Rippers. Sadly, the music studio is not currently in the 1709 Broderick Street home. The 1883 home is the vision of the famous 19th-century architect Charles Lewis Hinkel. The famous home is referred to as one of the finest examples of San Francisco’s Italianate architecture. Italianate, also called “Neo-Renaissance,” made it’s way to America in the mid-19th-century and was spearheaded by architect Alexander Jackson Davis. Hinkel, following in the footsteps of his father, also a residential homebuilder, is known for incorporating European aesthetics in otherwise neoclassical architecture. Hinkel’s father, Charles E. Hinkel moved to the United States from Germany in 1952.